When these little beauties pop up out of the ground, you know spring has truly arrived. They’re one of the first wild edibles to surface after winter, and for very good reason. When the weather warms up, it’s a signal to the body to do a bit of spring cleaning. Spring after all, marks the time of renewal, and is the ideal time for gentle cleansing, and detoxifying. The organ that shares the character of this season, is the Liver. To support this organ through it’s constant cleansing, we should focus on foods with an upward energy. Examples include: young, green, sprouting, above-ground veggies. 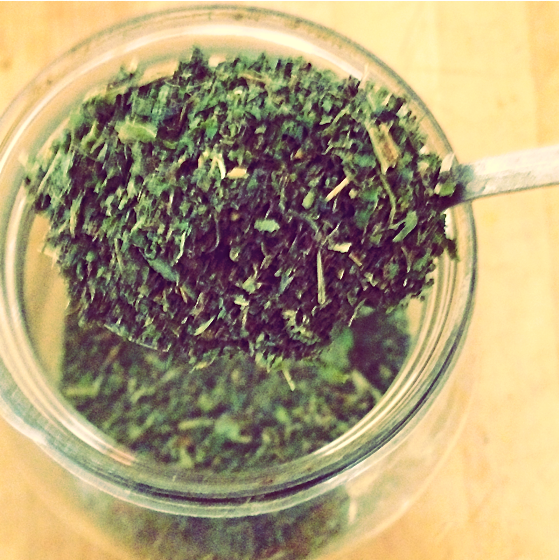 Nettle is the perfect example of a spring cleaning food. 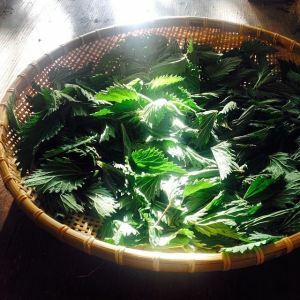 Nettle not only helps the liver with it’s many (and I mean many) tasks, it’s got way more going for it in the health department. A bounty of vibrant stinging nettle, only a few inches tall. 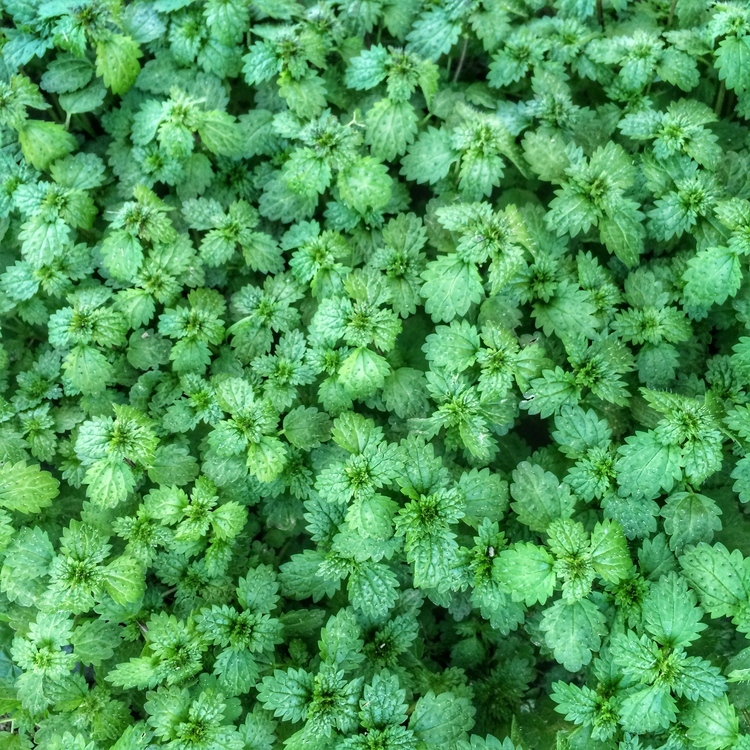 Nettles are so high in vitamins and minerals, they’re like Mother Nature’s version of a multi vitamin and mineral. Why take a synthetic multivitamin when you can utilize a natural food instead? Vitamin B- complexes as well as thiamin, riboflavin, niacin, B-6, all of which are found in high levels and act as antioxidents. You don’t have to have a nettle patch of your own to enjoy the benefits of these little powerhouse plants. 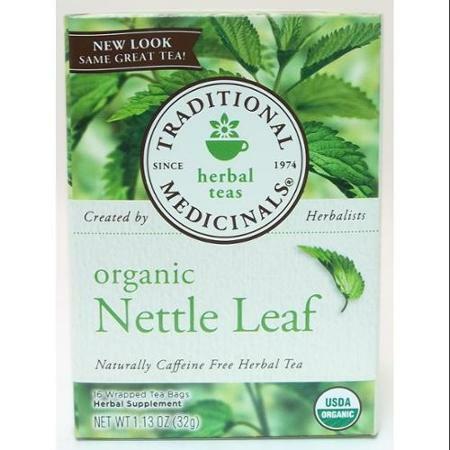 You can buy nettle dried in the bulk section of many health food stores, or if it’s more convenient, Traditional Medicinals (photo below) sells individual tea bags. **As always, be sure to check with your medical care professional for any medication interactions. Leafy greens in general offer wonderful support to your system this time of year. Enjoy all the others too: swiss chard, kale, spinach, cilantro, parsley, romaine, red and green leaf lettuce, sprouts, dandelion greens, etc. p.s. totally non food related, but you can even use the fresh leaves to dye fabric. 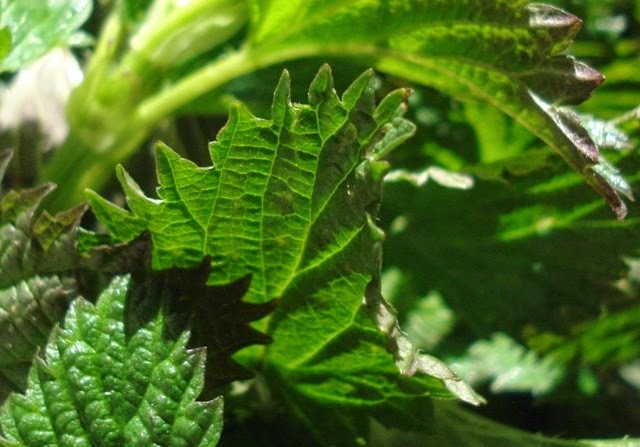 Check out how, here: why i love nettles.